Do you own a home or property here in the Tampa Bay area (Pinellas County, Hillsborough County, or Pasco County)? Do not trust your home, closing, or title insurance needs to just any real estate individual, but someone who can provide you with expertise in dealing with unique and palatial estates here in the Tampa Bay area (Pinellas County, Hillsborough County, or Pasco County). Our firm has the experience, knowledge and the necessary relationships to handle the unique issues that arise with exceptional properties. We assist people with title insurance and closings all over the Tampa Bay area, including Pinellas County, Pasco County and Hillsborough County. We take the time to explain the closing process, answer all of your questions, and ensure your interests and property rights are protected. Let us put our skills and credentials to work for you. A title insurance policy insures the status of title in the name of the owner of the policy. Although a forged instrument may not be discovered during the examination of the title, should it be discovered after closing, it would be covered by the title insurance policy. Most lenders require their borrower to provide a title insurance policy to cover the amount of the mortgage. We also recommend that each owner of the property also have an owner’s title insurance policy to protect themselves against any potential adverse claims against their title. What is the difference between underwriters of title insurance? 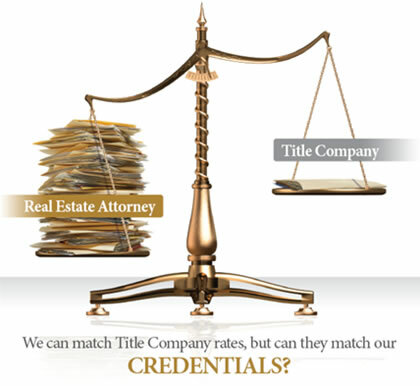 We proudly offer title insurance policies underwritten by Attorneys’ Title Insurance Fund. Title insurance rates are promulgated by the State so you pay no more for the title insurance policy by using the services of a real estate attorney who underwrites with The Fund than you would to go through another underwriter. Trust your title insurance policy needs to The Fund’s members. Perhaps you have already heard the ads. Don’t go it alone. Attorneys’ Title Insurance Fund supports its real estate attorney members by providing valuable, relevant, and timely information, as well as innovative products and services that allow attorneys to conduct transactions electronically, easily, and efficiently. Additionally, their strong technology base and educational support create an environment that enhances the real estate attorney’s knowledge. We believe this is why The Fund is the largest single title insurance underwriter and title information provider in the State of Florida. As real estate lawyers, we are proud to do business with The Fund. Is a real estate attorney required in Florida to close on my real estate sale or purchase? In many states, the services of a licensed attorney are required when the transaction involves real estate. However, in Florida, an attorney is not required to close real property. We recommend you always use the services of a real estate attorney to best protect your interests. Regardless of your real estate matter, you should clearly understand the documents you are executing and how they affect your rights. A title agent may not give legal advice at closing, unless they are a licensed attorney. Not to mention, we charge approximately the same amount for a closing as a Title Agent. Don’t go it alone. Have a real estate lawyer on your side. Contact us to get a free quote of your closing fees. Isn’t it more expensive for closing costs with a real estate attorney than with a title insurance agent? Our firm can close your important real estate transaction for the same closing costs or less than a local title agency that may not even employ an attorney. At the Davis Basta Law Firm, you always get the benefit of an experienced real estate attorney being involved in your transaction. A promissory note is the promise to pay back borrowed money or the evidence of a debt. If you loan money to someone, even a close family member, it is important to secure repayment of your loan if possible. At the very least, reduce any agreements to a writing. The mortgage is evidence of security for the promissory note and will describe the property that is being used as security if the loan is not paid back. The mortgage “follows the note” because if you do not pay back the note (loan), the mortgage will allow the lender to go after the security (i.e., the home). I did not get the loan on the property or sign the promissory note, why do I have to sign the mortgage? If you are a spouse or owner in the real property being given for security on a note, the lender will also require your signature on the mortgage even if you are not taking out the loan. 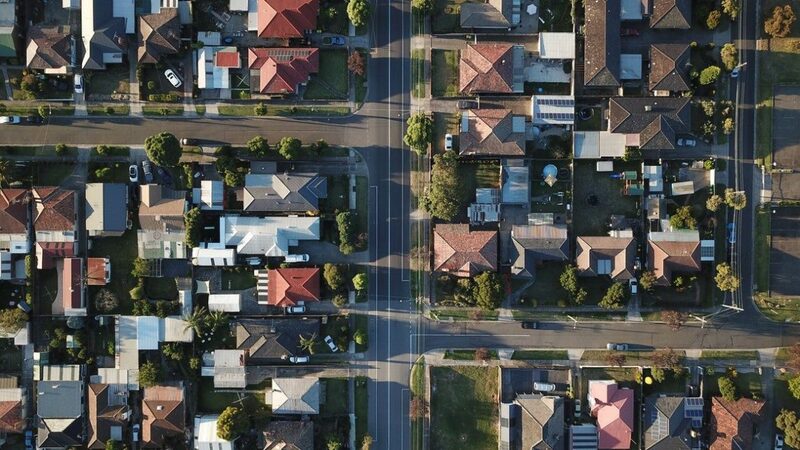 This is so for a variety of reasons, one being that as a person with interest in the property, they want to be sure that you are aware that the property is being mortgaged. Also, Florida has strong Homestead laws that protect the rights of all owners. My spouse is not listed on the current Deed, why are they being required to sign the Deed to transfer it upon sale? Florida has strong Homestead laws that protect the rights of all owners, even if your spouse is not on the current Deed to the property, they still have homestead rights to the property. If they do not sign the Deed for the sale, the spouse may have a right to rescind the sale. Florida Homestead is a complicated law, we can explain the intricacies and requirements for closing so you are aware of what to expect. For more information on title insurance rates, and related regulations by the State of Florida, please see the Florida Administrative Code.